I noticed an cool article that Long Zheng wrote about Microsoft have aquired a patent which reveals fast-boot dual-boot hybrid. A couple of years ago, various laptop manufacturers began implementing “instant-on” solutions to their mobile PCs with lite variations of Linux for a fast boot experience. Although it didn’t catch on very well, Microsoft took the idea to the next level with a hypervisor-enabled fast-boot dual-boot solution that makes much more sense. 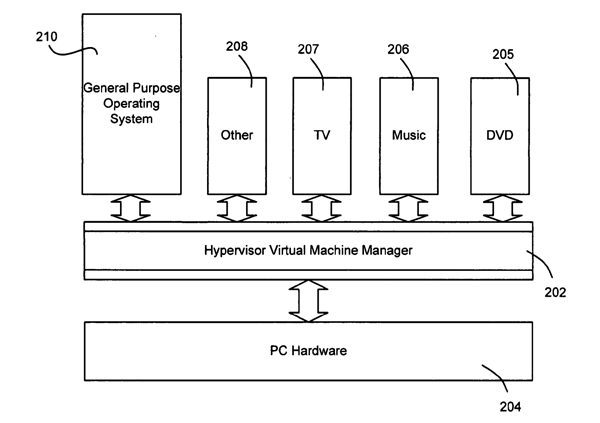 The patent application, “FAST BOOTING A COMPUTING DEVICE TO A SPECIALIZED EXPERIENCE” outlines a boot process involving a general operating system like Windows alongside many special purpose operating systems that boots much more quickly to provide “appliance-like behavior” such as viewing entertainment content (TV, music, DVD). Up until now it might just sound like a traditional dual-boot scenario, but since operating systems are running on top of a hypervisor, Microsoft proposes that after the user is launched into the specialized OS, the general purpose OS would actually start loading in the background too. Furthermore, once the two are running side by side, the system may automatically and seamlessly transition the user to the general OS. The end result is instant gratification from a fast-boot experience, at the same time, the flexibility to do more without compromise. Win win.